HONOLULU — The Hawaii State Teachers Association’s weekly briefing meeting had turned into a battle-planning session; the conference room became a war room. It was late November. Officials were digging in for a protracted fight with the state over teacher evaluations and compensation. They were also dealing with an internal problem: A rogue group of frustrated teachers had launched a “work-to-rule” campaign without union leaders’ approval, and they had to figure out how to respond. Hawaii has traditionally been one of the most labor-friendly states in the nation. Collective bargaining is written into its constitution, and more than a fifth of its workforce belongs to a union. Only New York and Alaska have higher union-membership rates. A 2012 study by the Thomas B. Fordham Institute, a conservative education think tank, ranked the Hawaii State Teachers Association (HSTA) as the strongest teachers union in the country. 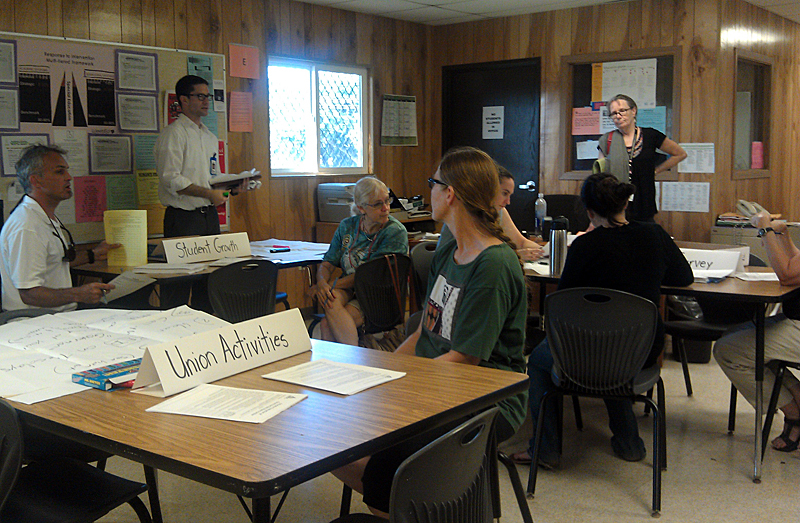 But by last November, Hawaii’s 13,000 teachers had reached a breaking point. They had been working without a negotiated contract for more than 16 months. For two years, the union and state had fought over pay, benefits and a new teacher evaluation plan. Defying the union, the governor-appointed Board of Education mandated a new system in 2012 that uses student test scores in measuring teacher performance and that ties a teacher’s rating to his or her compensation. The Board of Education is also piloting student surveys as a factor in teacher evaluations—an idea the union abhors. A federal mediator and crisis communications consultant had failed to break the logjam. 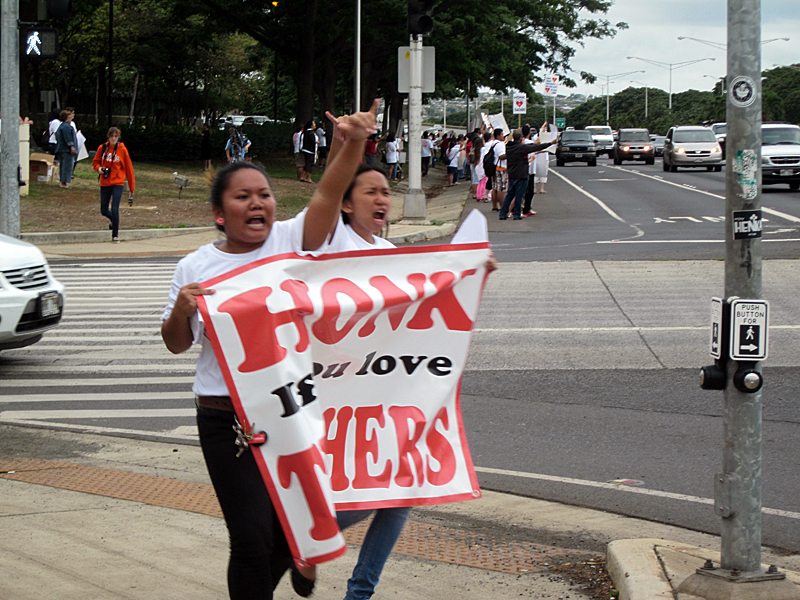 Teacher resentment toward both union officials and the Democratic governor that the HSTA once endorsed, Neil Abercrombie, had turned into rebellion with the rogue protests. The dramatic showdown in the Aloha State demonstrates how radically the nation’s education landscape has changed in recent years. For decades, teacher unions have used their political power and bargaining to exert near-complete control over school systems in some places. Now, Democrats are embracing policies that are anathema to unions, and Republicans have successfully weakened labor laws in former bastions of union strength. And as a new generation of teachers joins the profession and questions the old way of doing things, teachers unions must deal with dissent from their own ranks. Negotiations and political fights between teacher unions and management once centered on benefits and school funding. Now, the unions are battling to keep their ability to bargain for benefits at all and warding off education reform efforts that could undermine union power. On the surface, these arguments are about specific details and numbers. At their heart, though, the fights are about the relevance and future of teacher unions and, by extension, the labor movement itself. In the past few years, would-be education reformers, including advocates, politicians and district leaders—like Michelle Rhee in Washington, D.C., and Paul Vallas in New Orleans—have scored major victories in expanding charter schools, eliminating teacher tenure and including student test scores in teacher evaluations in dozens of states around the country. In Michigan and Wisconsin, unions spent millions of dollars trying to prevent Republican lawmakers from stripping them of collective bargaining rights—only to lose. In 2012, total union membership levels hit their lowest point since the 1930s, with 11.3 percent of the national workforce belonging to a union, compared to 20.1 percent three decades earlier. With more than four million members combined, the two main national teacher unions are among the largest labor unions in the country, but the National Education Association (NEA) has lost 100,000 members since 2010. Its 2012-2014 Strategic Plan and Budget allocates $19.4 million to increase membership. Unions are also losing the public-relations battle. Approval ratings for labor unions have been at their lowest points in history for the past four years. A 2011 Gallup poll found that 47 percent of Americans believe teacher unions are hurting public schools, while just a quarter of respondents think the unions help schools. Conservatives predict that teacher unions will soon go the way of their private-sector counterparts: present, but weak and small. But teacher-union leaders insist that, though they must rethink their strategies, they’re adjusting to the new realities. For every defeat, teacher unions can point to a victory. Last year, for instance, they were instrumental in overturning legislation in Idaho and South Dakota that would have curbed tenure and established merit pay. In 2011, they were able to repeal a ban on collective bargaining in Ohio. The NEA may have lost members, but it claims that political activity among current members is up. The smaller American Federation of Teachers (AFT) has managed to keep its numbers steady. The fundamental shifts in public education and labor laws have created a new normal. Teacher unions will almost certainly survive, but not without making some concessions and carefully juggling the demands of members and opponents alike. When the dust settles, their strength and priorities will likely be permanently altered. Over the past three decades and throughout much of the country, teacher unions have exercised an unparalleled amount of power at the local and state levels, playing a key role in developing—or preventing the development of—education policy through negotiations and politics. They’ve been huge campaign donors, primarily giving to their Democratic allies. They’re often instrumental in local school board elections and lobby heavily at state legislatures. And their mobilization of members to make phone calls and canvass for endorsed candidates is rarely matched by other entities. In recent years, however, the unions have focused on fending off attacks on two different fronts. The more radical assaults are attempts to restrict labor rights for all public-sector union members. The biggest blow came in 2011, when Wisconsin Gov. Scott Walker, a Republican, pushed through a law that effectively ended collective bargaining for public employees. The unions tried to oust Walker in a recall, with the AFT giving more than $1 million to the groups opposing him in the month leading up to the vote. Yet Walker survived and has become an icon in the Republican Party; he received a standing ovation before his speech at the Republican National Convention last summer. Despite its failure, though, the highly charged effort to remove Walker may have sent a message to other Republicans. “As much as they glorify Scott Walker, nobody wants to be Scott Walker,” said Terry Moe, a political scientist at Stanford University and author of Special Interest: Teachers Unions and America’s Public Schools. In the past three years, only two other states—Indiana and Michigan—have passed and maintained laws restricting labor rights. They both became right-to-work states, where union members aren’t automatically enrolled when taking a job, but must instead opt to join the union. A second Indiana law also prohibited teacher unions from bargaining on any issue beyond salaries and wage-related benefits. The second wave of attacks on teacher unions has come from education reformers, many of them Democrats, who are seeking to overhaul the teaching profession by incorporating new policies like merit pay and by eliminating tenure. Such proposals go against unions’ core mission, which is to secure the best job protections and salaries possible for members. Union leaders argue that this mission isn’t inherently incompatible with children’s best interests, but reformers tend to disagree. They say job protections for poor and mediocre teachers have an indisputably negative impact on student learning. Illinois is an example of how the unions are hanging on. The state passed a law in 2010 requiring that new teacher evaluations include student achievement by the 2016-17 school year. But the state union successfully lobbied for the right of individual school districts to decide how much student achievement would factor into the new evaluations. In 2012, the Chicago Public Schools sped up the process to pilot the new system in 300 schools. Officials were calling for student test scores to make up 45 percent of a teacher’s overall evaluation. The teachers went on strike. Eight days later, the union and district agreed to a compromise: Now, 30 percent of a teacher’s evaluation will be tied to student achievement. The Wednesday after Thanksgiving, a dozen or so teachers trickled in and out of a trailer classroom at Kahuku High & Intermediate School, near Oahu’s North Shore. They’d come to share their feedback on Hawaii’s pilot evaluation system, but conversation about the state’s new proposed contract overshadowed the proceedings. Maya Ross, the crisis communications consultant whom the union brought in to improve both teachers’ and the public’s perception of the organization, sat in the back of the room drafting an official response to a press release sent out by the rogue group of teachers. The group, based at James Campbell High School, called for the state to make teachers’ salaries competitive and for teachers to be rated on four unannounced observations. Just two weeks earlier, teachers at Campbell, unhappy with a lack of union action, also took it upon themselves to start their own work-to-rule protest. Every Thursday, participating teachers worked from 8 a.m. to 3 p.m., the hours required by their contract. Before and after the school day, often accompanied by students, they line busy streets holding signs to drum up public support and highlight how hard teachers work. The group of teachers has also organized campaigns to email the Governor and “teach in” days, where teachers bring the work they do on weekends to city hall. HSTA tried to offer them some support without officially promoting the activities. “I want teachers who are initiating actions, inside or outside of HSTA’s formal structure, to know that I will join them in any legal and constructive action they initiate that will increase public attention and support for our cause of a dignified contract resolution,” HSTA President Wil Okabe said in his statement in response to the press release. 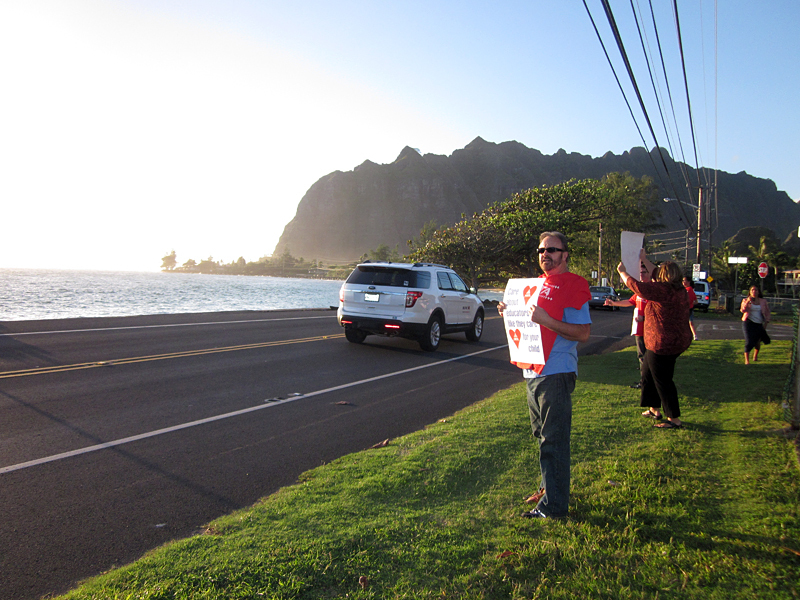 Hawaii’s rogue teachers represent a larger trend of union members voicing dissatisfaction with their leadership. Union officials, now facing attacks from inside and outside the organization, are still figuring out how to best manage their dissenters, who, in some cases, are pushing for the very reforms the unions hate. Educators 4 Excellence (E4E), begun in New York City, has recruited more than 9,000 teachers nationwide. The group pushes for merit pay and an end to seniority-based layoffs. E4E members have made policy recommendations for teacher evaluations in New York and Los Angeles. Although on the surface E4E supports many proposals that union leaders across the country have been fighting, Stone said they’ve gotten mixed reactions from their teacher peers and union leaders, some of whom approve of E4E. “One misconception is that all teachers feel the same way, and that all union leaders feel the same way,” he said. DeMitchell’s work has highlighted a generational divide in union membership, which is now conventionally accepted wisdom bolstered by anecdotal evidence. Older teachers tend to be more concerned with traditional job protections and benefits, and want the union to behave like it always has. Younger teachers are more likely to want the union to be a vehicle for change. Nearly three-quarters of E4E’s members have under a decade of classroom experience. A 2012 Education Sector survey found that nearly half of teachers who’d been in the classroom for more than 20 years said that being in a union provided them with a sense of pride and solidarity, compared to just 22 percent of those with under five years of experience. And nine out of 10 new teachers said the union should take a more active role in making it easier to remove ineffective teachers from the classroom, compared to three-quarters of their veteran colleagues. The research isn’t conclusive, however. Stanford’s Moe conducted a survey that found teachers under the age of 35 have policy positions similar to their older peers. Still, to maintain their strength, the unions are focused on appeasing new members. The AFT makes it a point to reach out to new teachers born long after the peak of unionism in the 1950s. “When you don’t grow up in a family where what union meant was retirement security or health security or being able to take a few days off to have a family vacation … you actually have to talk to people about what it means,” the AFT’s Weingarten said. The NEA’s strategic plan sets aside more than $1.2 million “to increase the quality of member engagement,” and another $1.8 million is being dedicated to engaging young members. 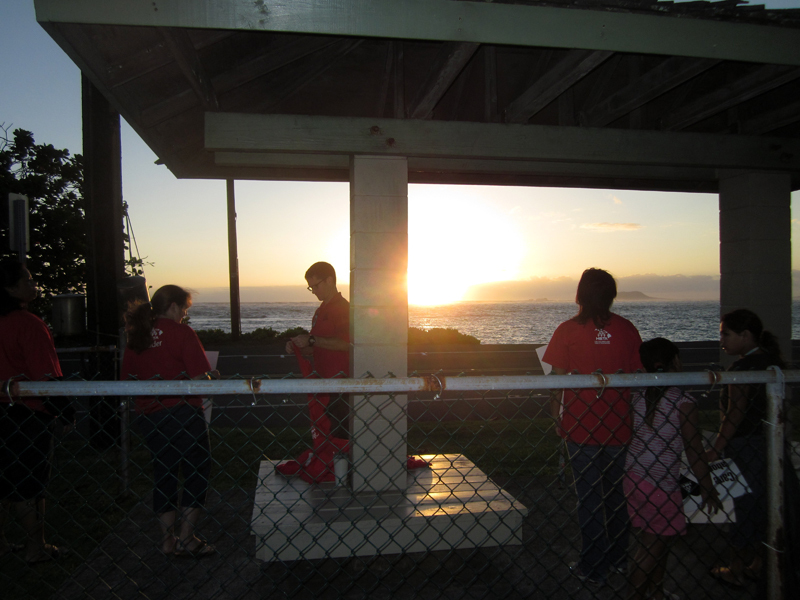 In Hawaii, the union believes improved communication will mean improved member engagement—among all ages. Union officials have increased their activity the on the HSTA’s Facebook page, filling it with updates, photographs and video messages from President Okabe. They are stepping up their efforts to answer complaints and collect feedback from members. As negotiations continued into the winter, teacher evaluations—and primarily how student test scores will be included in them—remained a main point of contention, but the union has made several concessions. A counterproposal from the HSTA allowed for the use of student scores in teacher evaluations, but stressed the need for multiple measures of achievement and required that the scores count for no more than 10 percent of a teacher’s rating in the “student growth” subcategory—meaning it’d be a small fraction of a teacher’s overall evaluation. It also called for classroom observations and measurements of a teacher’s growth, omitting the student surveys that the state’s been pushing. The state rejected the offer. In late March, the union and the state reached a tentative agreement that increased teacher raises and promised that teachers and union leaders would be a part of decision making about the new evaluation system. Still, half of a teacher’s evaluation must be based on student growth. Union membership voted to ratify the contract in April. In Massachusetts, the union compromised on a new teacher evaluation system so that it didn’t end up as a ballot measure—and, in doing so, it saved hundreds of thousands of dollars fighting a proposal during election season. New Haven, Conn., has been praised for developing a district- and union-approved teacher evaluation system and, most recently, Los Angeles teachers struck an agreement with the district on how student test score data could be used to evaluate them. The AFT has begun to focus on state and local issues, and now spends less time and money in Washington, D.C., according to Weingarten. “We’ve become stronger, tougher, smarter and more responsive to community,” she said. The NEA’s strategic plan calls for the group to “amplify” its members’ voices in the world of education policy. The nation’s largest union is investing millions of dollars in its own education reforms, such as turning around schools and providing professional development to its members.